Portuguese-Style Grilled Chicken - A tasty and simple chicken dish! On a family holiday to the Algarve, Portugal a few years ago, we had our first taste of Portuguese-style grilled chicken breasts. The flavour blew us away! Grilled chicken had never tasted so good! We played a guessing game to identify the different ingredients. Then, we confirmed them with the lovely waiter so that we could take the recipe home. We now make this dish quite often. It is so versatile and can be served with a salad or roasted vegetables. It is so easy to make but packs a real punch. 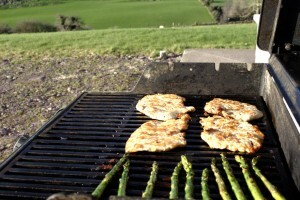 We like to pull out the BBQ to grill this as the flavour is incredible but you can roast in the oven as well. 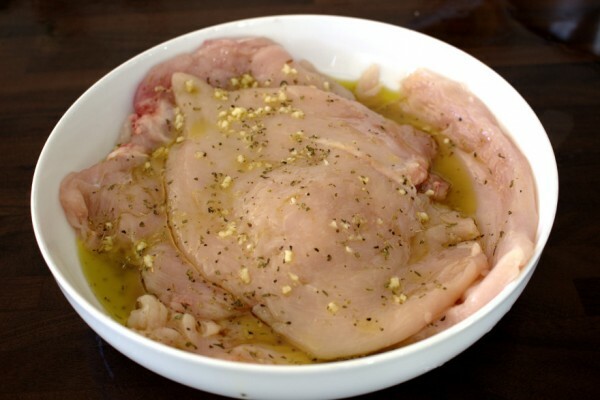 I recommend marinating the chicken breasts over-night if possible but if you’re running short on time a few hours will do. As always for marinades, the longer the better. This week marked the first lot of sunny weather this year in Ireland so it was a great chance to make this dish once again. 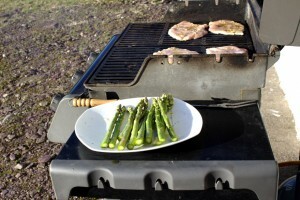 There is something about dusting down the barbecue that fills us with such hope of a sunny year ahead. 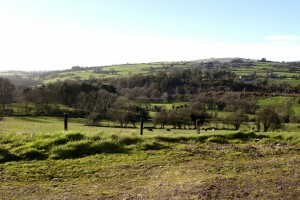 The Irish weather often disappoints but any chance of sun at all and we certainly make the most of it. Portuguese-Style Grilled Chicken is such an easy dish that it is a great mid-week meal. Once the chicken is pre-prepared, just literally grill and it’s ready. As free-range chicken breasts are expensive, we get the most out of them by flattening them completely with a meat tenderiser beforehand. I highly recommend purchasing one as they are such a useful kitchen tool. Flatten them by laying the chicken breasts on the counter between two layers of cling film and beating with the tenderiser. It’s honestly quite therapeutic! Not only does flattened chicken cook quicker but it also goes a lot further. One chicken breast per person is more than enough. My husband even agrees! 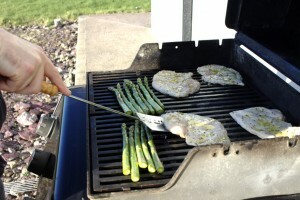 A meat thermometer is also essential when barbecuing to avoid under-cooked meat. It is definitely another kitchen tool I cannot live without. Flatten out the chicken breasts as described above with a meat tenderizer. 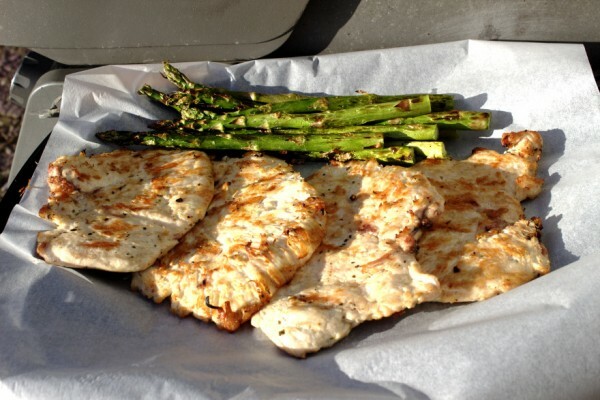 Place the garlic, oregano, salt, pepper and olive oil into a large sandwich or freezer bag and add the chicken breasts. 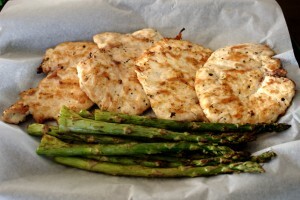 Place the bag in the fridge and allow to marinate for up to 4 hours or overnight if possible. When you're ready to cook the chicken, preheat the barbecue to a very high temperature. If you don't have a barbecue you can cook the chicken in the oven. Preheat the oven to 240°C fan, 220°C electric, gas mark 9, or 475°F. Cook for 20 minutes. This is based on the chicken being flattened out really well. Always use a meat thermometer to check that the chicken is cooked through.